Haaaadduuuukkken! 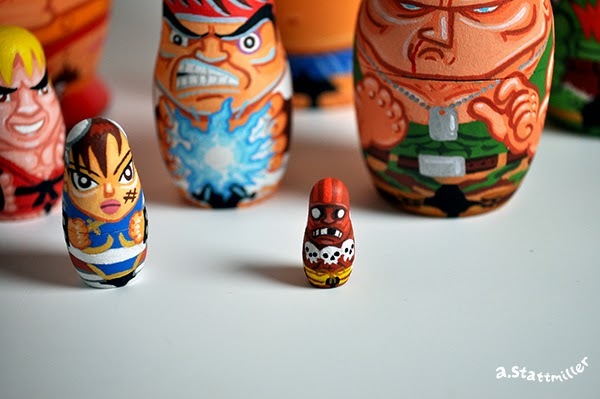 Street Fighter Nesting Dolls are here! I played this game religiously as a kid, so why not make some nesting dolls! This is a set of 8, with the biggest doll at 7 inches tall and the smallest at 0.75 inches. All are hand painted with acrylic paint on wood dolls. 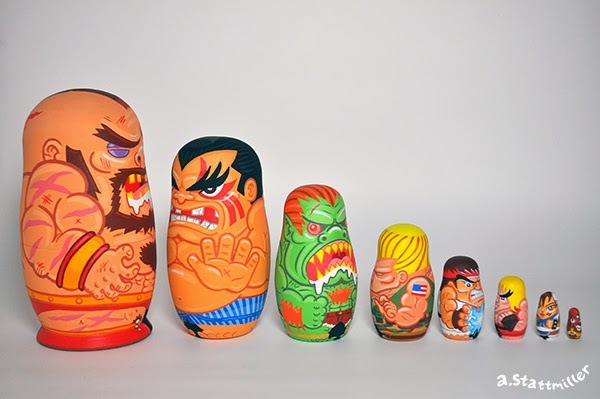 From largest to smallest you have Zangief, E. Honda, Blanka, Guile, Ryu, Ken, Chun Li and Dhaslim.